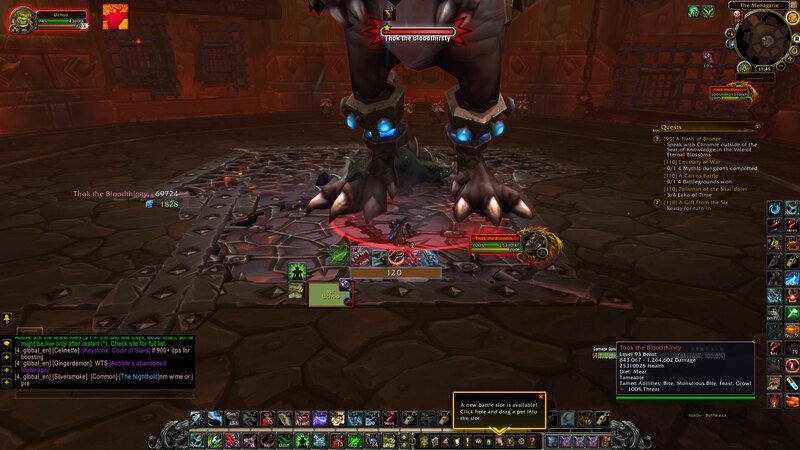 Bug description: Thok the Bloodthirsty is unable to be tamed as a Hunter when it should be. As the Screenshot indicates, using Beast Lore on the mob shows it as Tameable but casting Tame Pet yield invalid target. Confirmed, it should be tameable on all difficulties. Atm it's tameable only on normal.